Dr. Robert E. Danz now offers Laser Assisted New Attachment Procedure (LANAP®), a revolutionary new laser gum surgery for the treatment of gum disease for patients in Ghent, NY. LANAP® is a minimally invasive laser gum surgery that offers patients treatment gum disease treatment with less bleeding, less pain and a speedier healing time than with traditional gum surgery. Dr. Robert Danz Now Offers Laser Gum Surgery In Ghent, NY. Robert E. Danz, DDS, has expanded his practice to offer gum disease screenings and treatment to patients in Ghent, NY. Laser Assisted New Attachment Procedure (LANAP®), an FDA cleared laser gum surgery, can treat gum disease and help prevent the serious oral issues associated with it. Gum disease, also known as periodontal disease, is a serious oral health issue that may begin with no symptoms at all. It is caused by a buildup of tartar around the teeth and below the gumline. Tartar forms from plaque, which is a sticky residue on the teeth made up of bacteria and food particles. Brushing and flossing alone will not keep plaque completely at bay, which is why professional dental cleanings are recommended at least twice a year. Bleeding or redness of the gums may be an indication of gum disease, and a person experiencing either of these should visit a dentist for a checkup right away. The traditional way of treating gum disease involves cutting the gums away from the teeth to scrape the area clean of bacteria and infection. Since Dr. Danz performs LANAP® with lasers, it is a much gentler and less invasive gum disease treatment option. Patients in Ghent, NY can now take advantage of this laser gum surgery and avoid the scalpels and sutures of traditional oral surgery. As many as three out of every four adults experience some fear over dental visits, and many avoid scheduling them at all. This avoidance can have severe health consequences. For patients in Ghent, NY, gum disease treatment is now much less alarming thanks to LANAP®. This laser gum surgery uses the PerioLase® MVP-7™ laser to eradicate the infected tissue without damaging healthy tissue so that the gums reattach more quickly to the roots of teeth. This helps patients to avoid much of the gum line recession and root sensitivity that are a typical result of scalpel surgeries. Gum disease has been linked to many serious health issues including cancer, diabetes and heart disease. It is critical to seek treatment of gum disease before it becomes a threat to overall health. To learn more about LANAP® and gum disease visit Dr. Danz’s website. 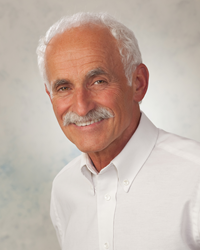 Robert E. Danz, DDS, is a general dentist offering personalized dental care for Hudson, NY gum disease patients. Not only does Dr. Danz run his own practice, he is involved in his community. Dr. Danz received his dental degree from the New York University College of Dentistry, after earning his bachelor’s degree from Long Island University. He has also taken numerous postgraduate education courses, specifically focusing on cosmetic and restorative dentistry. Dr. Danz is part of one percent of dental professionals providing the LANAP® FDA cleared laser procedure for gum disease treatment. To learn more about Robert E. Danz, DDS and his dental services visit their website at http://www.hudson-dental.com and call (518) 444-4215.